We develop and deploy environmental sensor networks that make sense of our surroundings. 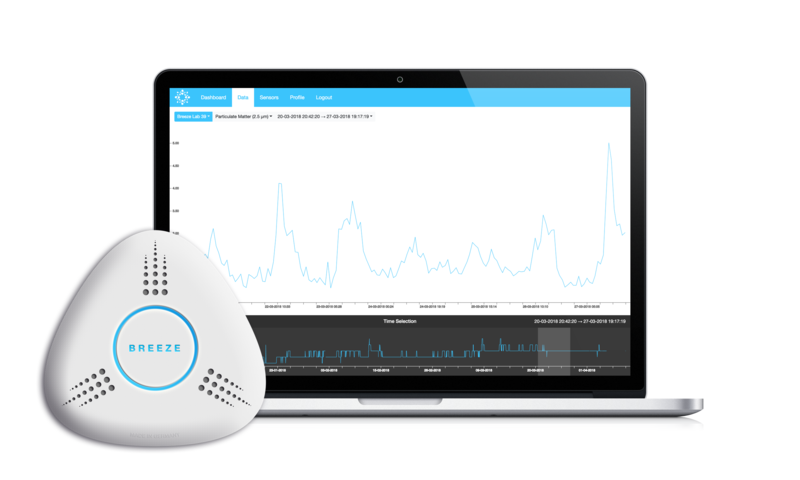 Breeze pushes the limits of environmental sensor development. Our small-scale air quality sensors can measure common pollutants like carbon and nitrogen oxides, ozone, particulate matter and many more. Their competitive price point allows for new applications like smart air quality management in your office buildings or large-scale environmental sensing in your urban environment. Our environmental analytics cloud platform gathers real-time data from Breeze air quality sensors as well as external data sources. Based on machine learning and big data technologies, we use our proprietary Adaptive Cloud Calibration Engine to increase data reliability and accuracy. The Breeze cloud platform allows you to achieve an arbitrarily high data resolution and can assist facility management, environmental scientists and even municipality management and governments in understanding air quality, its influences and how to improve it. How is the air quality in front of your door? Cities usually only maintain few air quality monitoring stations. Measurements are few and far between. The collected data therefore does not have the necessary relevance for most citizens. Our citizen portal for air quality data provides comprehensive and hyperlocal air quality data and is a one-stop shop for interested citizens. The portal is currently being piloted in Hamburg-Rothenburgsort and will soon be available in more districts and cities. Socially responsible corporates sponsor the sensors feeding data to this portal. They are being installed either on the corporates’ own buildings, or co-located with interested citizens that we call “sensor hosts”. For the citizens, no costs are incurred, besides the sensors’ very low power consumption. Find out more about the air quality in the places that matter most to you. We live in a world of relentless change. Our cities are growing, we travel more, our technology is advancing. All the while, and with little thought or effort, we continue to inhale and exhale; around 20.000 times every day. Our environment matters. Our air matters. Yet every day, it gets polluted a little more. Be it from man-made machines, combustion engines or factories. Or from natural phenomena, like volcanos and wood fires. We, however, know very little about what we are breathing. But what if we could make sense of it all? We believe that distributed networks of small-scale environmental sensors can enable a fully-new approach to understand our environment, how it affects us and how we influence it. With our real-time data we can finally start to work on the underlying issues of environmental pollution. And we can develop strategies and best practices how to prevent it. We are an interdisciplinary team of scientists, analysts, engineers, designers, computer scientists and former consultants with international work experience. We have been supported by multiple EU and German innovation programmes and are working closely with more than a dozen research institutes and universities. Our offices are in Hamburg; our team is fighting for more liveable cities all over the world. 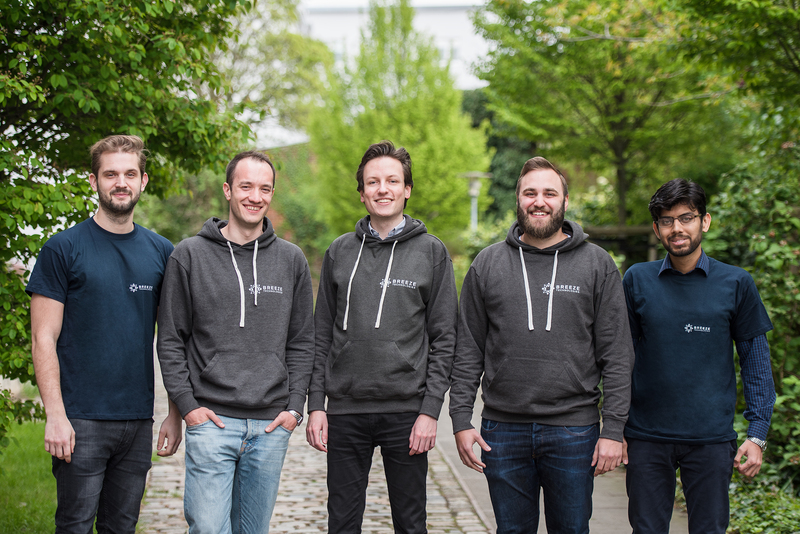 Our distinguished team has been awarded the Hamburg Founders’ Award, a commendation from the German federal president and various other honours and distinctions. Our high-end sensors enable you to measure the impact of your office environment on your employees and develop strategies to optimize their health and productivity. Act today, to protect both your employees as well as your profits. Our solution enables you to achieve an arbitrarily high data resolution and creates a basis for completely new fields of applications. In the future you will not only be able to recognize problems like traffic jams to initiate appropriate countermeasures. You can also analyze the impact urban development activities have on the urban climate, identify best practices and optimize your city layout. The possibilities are almost endless. Subscribe to our newsletter and always hear about our latest developments. Just leave your contact details below.